Across Asia, just over half of companies (51%) have formal diversity policies in place – worryingly, 30% don’t have any diversity policies at all. Among the firms that do have such policies, 54% say they are “fairly well” to “well” adhered too, while the remaining 46% aren’t quite sure or convinced about their implementation yet. 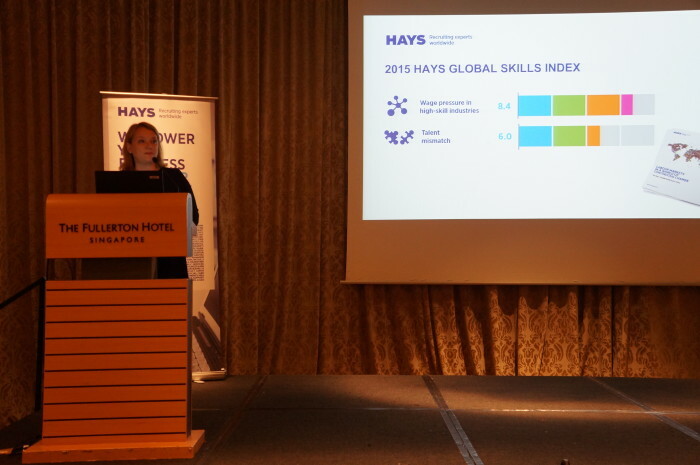 The findings from Hays’ 2016 Asia salary guide also pointed to a leaky gender diversity pipeline, with less than one-third of management positions in Asia currently taken up by women (29%). On this parameter, Malaysia has made steady progress however (at 37% of women in management positions), while China follows close behind at 32%. Hong Kong, Singapore and Japan lagged well behind the one-third mark at 28%, 27% and 19% of women in management positions, respectively. ALSO READ: Are workplaces really becoming more LGBT inclusive? The other major finding on diversity in the report was around cultural and ethnic diversity, where organisations in the region have just 16% of foreign employees in the workforce. In this aspect, Singapore led the way with more than a quarter of the workforce staffed with foreigners (28%), while Hong Kong and Malaysia reported 18% and 15% respectively. Japan and China had less than one in 10 foreign employees in their workforces, at 9% and 8% respectively. At the launch of the report, Human Resources caught up with Hays’ managing director in Singapore, Lynne Roeder, on the progress of diversity policies in Singapore and the wider region. 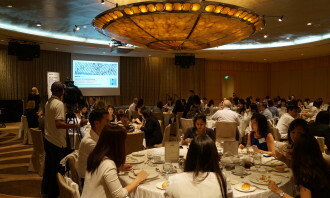 Q: Why are return-to-work mothers yet to build a spot for themselves on the management table in Singapore? In a lot of other countries there are restrictions which make it harder for women to return to work after they become mothers. That doesn’t seem to be the case in Singapore, so (this trend) amazes me. That being said, the maternity benefits from the government, never mind organisations, are not great, especially when you look at the extremes that countries like Norway and Sweden offer. Decision makers have got to realise that women can be very engaged and important, and at the board level, women bring a different dynamic. It’ not just about emotions, but quite often a pragmatic way of thinking of things. If we don’t have the right people engaged, businesses just won’t grow. Q: With the FCF making waves in the country, do you think it reflects a conflict towards having cultural diversity in offices? A: Diversity is represented in a lot of things – gender, nationality, race, disability. 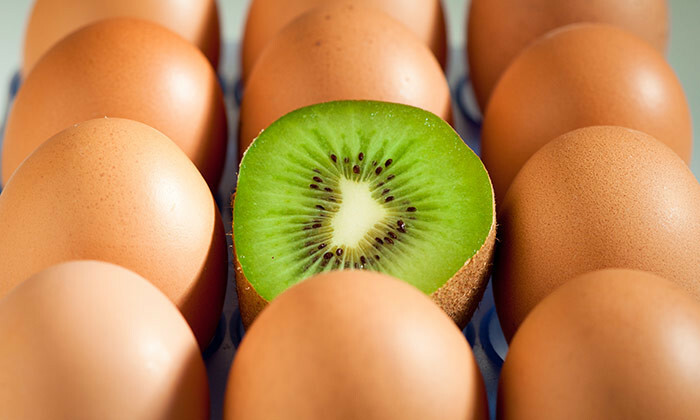 A lot of organisations now have the right rhetoric around diversity, but the execution is different in reality. One of my concerns from the FCF is that if we continue to strive towards policies around only hiring Singaporeans, a lot of organisations are already saying their growth risks getting restricted because they can’t hire, despite doing a lot of things to find talent. So the government has to be very careful about how far they push that legislation because big companies are started to get very annoyed about it. Q: Especially given the skills gaps? 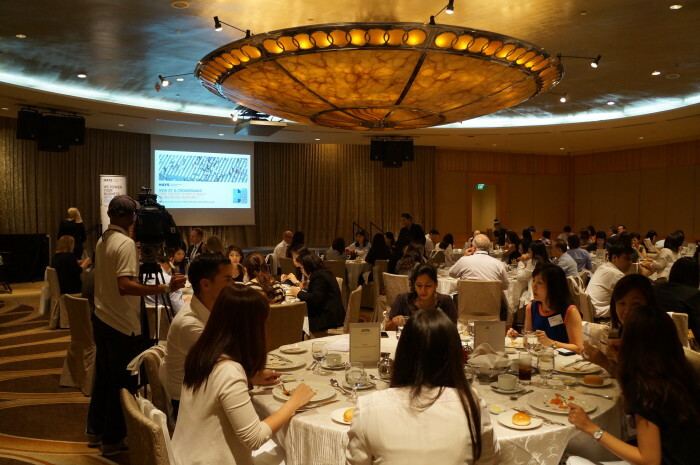 A: Yes, if we look at what happened in the past year, the growth was in sectors like IT, e-commerce, digital marketing – where a lot of that talent does not exist in Singapore yet. So if we want those industries to flourish, and for Singapore to become a hub, we’ve got to be able to find that talent, where ever it is. There are certain organisations that fill roles with with the first person that comes along. They can maybe do the job but are they the right person for it? 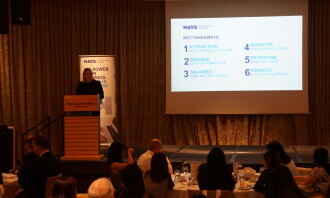 Q: Coming to the question of retaining the best people, how can employers in Singapore do that when 92% of companies anticipate nil to a maximum of 10% salary rises? A: One of the key things in terms of retention is, are you attracting the right people in the first place? So first thing is having a look at your attraction and hiring process to make sure it is correct. Second, in terms of the engagement, yes money is important. However if people are engaged in the workplace because they work for a boss they respect, they like like what they do, are treated fairly and are involved, they will still stay despite no salary rise. Also, ongoing investment in individuals, like coaching and training, is incredibly important, especially now as people are looking to upskill themselves and be better at what they’re doing. Getting people involved, upskilling them, and developing them will forego the need for huge salary increases. On the flipside, some people will move even if they get a tiny salary increase. My question is, do you want to retain these people? Are they really a long-term right for your organisation, because as an employer, you’re going to have to keep looking over your shoulder, worrying about them. 70% of China’s workforce has taken time off work to deal with depression.What can bosses do to help?.. The discrepancy rate in Asia Pacific is almost three times higher than the global discrepancy rate (9.7%). ..
IKEA Southeast Asia, which is owned by Ikano, will be opening a new IKEA store in Penang in March 2019, and in the Philippines in ..